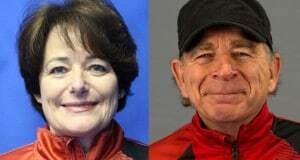 Two long-time Canadian curling coaches were honoured Friday night at the Coaching Association of Canada’s Petro-Canada Sport Leadership Awards Gala in Winnipeg. SAPPORO, Japan — The call came out of the blue last August. Canada will send a battle-hardened team to Japan in quest of our country’s first world women’s curling championship since 2008. 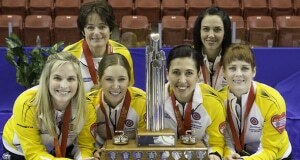 Front, l-r: skip Jennifer Jones, third Kaitlyn Lawes, second Jill Officer, lead Dawn McEwen. 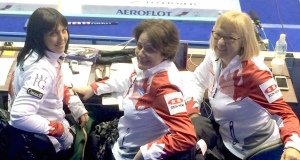 Back, l-r, coach Wendy Morgan, alternate Jennifer Clark-Rouire. Not pictured, national coach Elaine Dagg-Jackson. 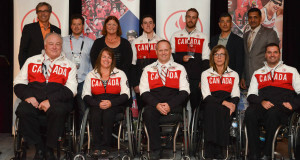 The honours continue to flow for Canada’s wheelchair curling Paralympians. Sometimes I have to pinch myself to believe that my job is real. Everyday I get to rub shoulders with some of the most amazing women in Canadian sport who are doing absolutely exceptional things – the elite performers in women’s curling.